Today major oil production is from old and mature fields and it becomes challenging to locate exploitable oil and introduce state of art technologies to maximize hydrocarbon recovery. 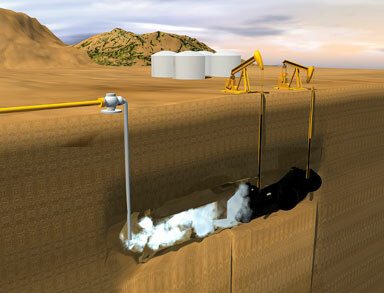 Several techniques under Improved and Enhanced Oil Recovery (IOR/EOR) helped to exploit additional oil over conventional and improve the reserves portfolio and also help in accelerating production rates. Screening of EOR methods as per industry standard. Planning and supervision of EOR laboratory studies. Design, monitoring and analysis of EOR Pilot. Planning and Commercialization of EOR scheme in the field including surface facility design.